Horween leather strap made up of 2 layers and fitted with press stud on tail end and an enclosed buckle. 1 fixed and 1 running keeper plus 2 metal loops. 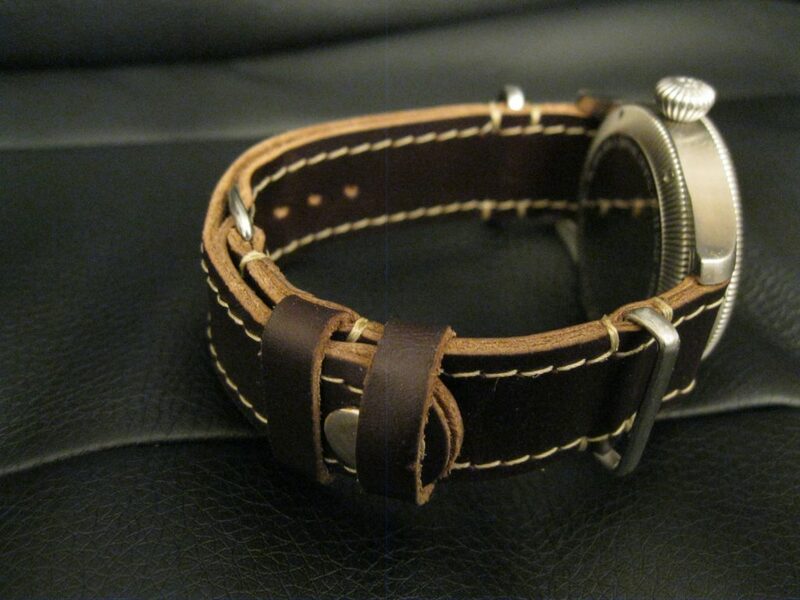 Available in 20/21/22/23 and 24mm in black and rich red/brown horween leather Hardware available in steel and PVD. £47.00 ($62.50 USD) plus shipping. 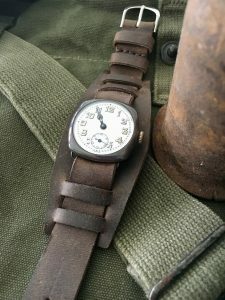 “Fury” Military Bund with nato style strap for light weight fixed lug watches. 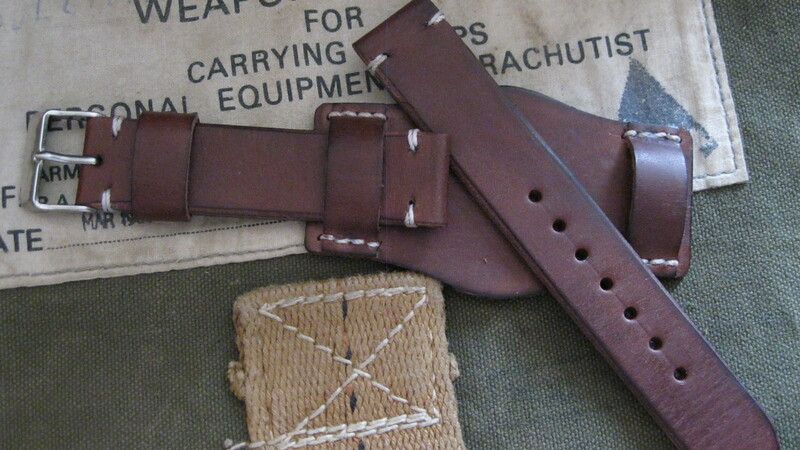 This is a copy of one of the straps that I made for Brad Pitt’s new movie “FURY “. 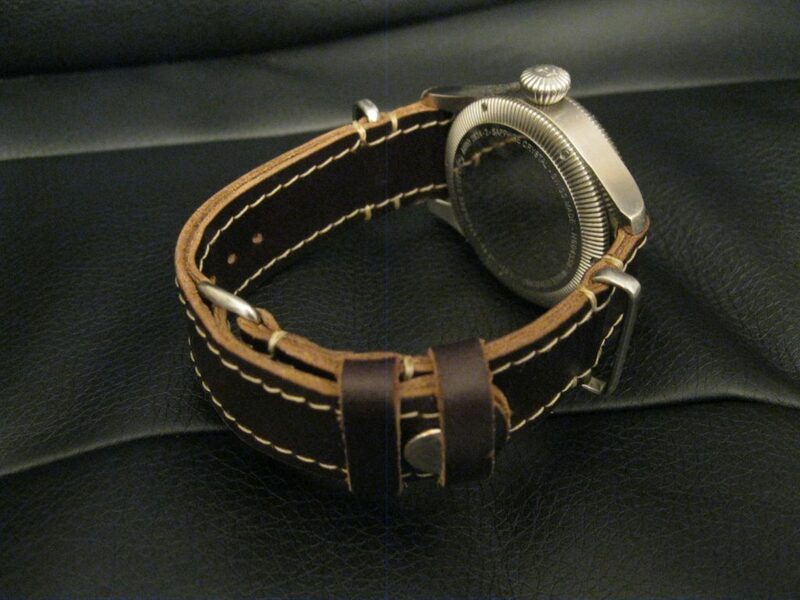 I was approached by Pinewood studios London to produce 5 straps for the movie for Brad Pitt and his co stars to wear. 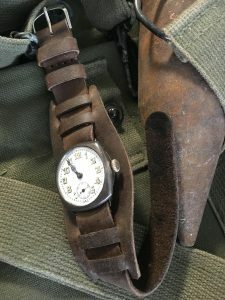 Made from top quality hide approx 1.5mm thick this strap brings these smaller vintage watches to life…..
£38.00 ($51.00 USD) including vintage or sports buckle plus shipping. 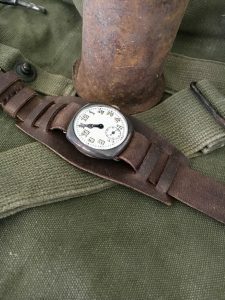 Hand made especially for this 19mm fixed lug Military issue watch. Fitted with chicago screws to allow it to be installed to fixed lugs. Quality supple calf leather 3+mm thick in black, brown and green as shown. This bund gives this relatively small watch more impact. 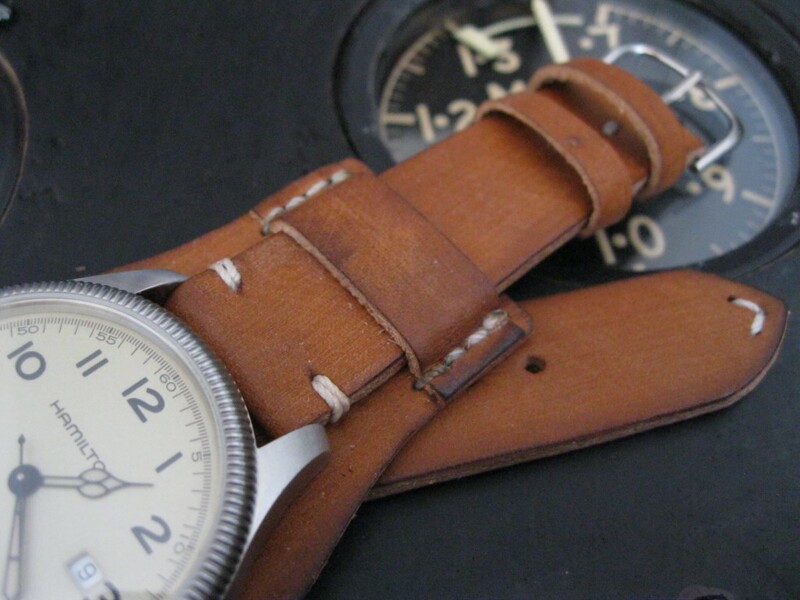 Vintage mid brown leather 3.5 – 4mm thick which is perfect for this bund style Military strap. Stitched in an off white waxed whipping twine which adds to the aesthetics. 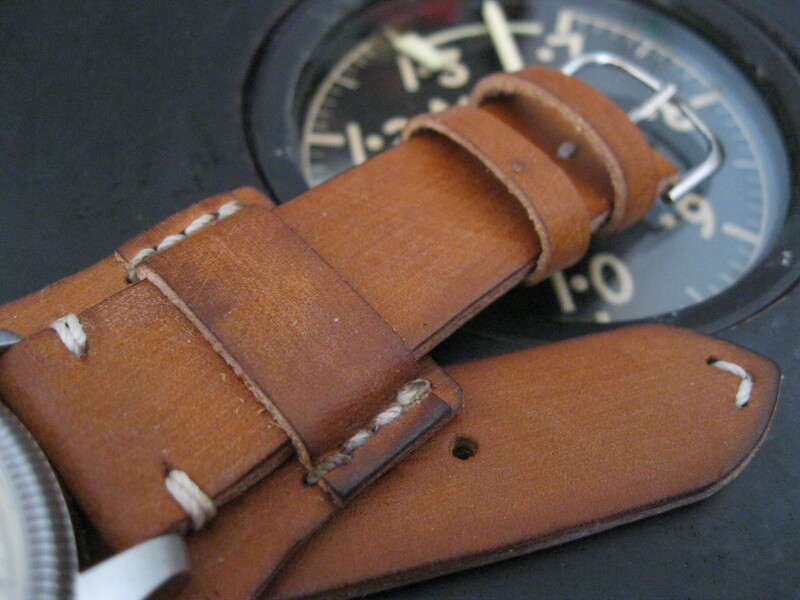 Will be a perfect strap for the small to mid size watches. 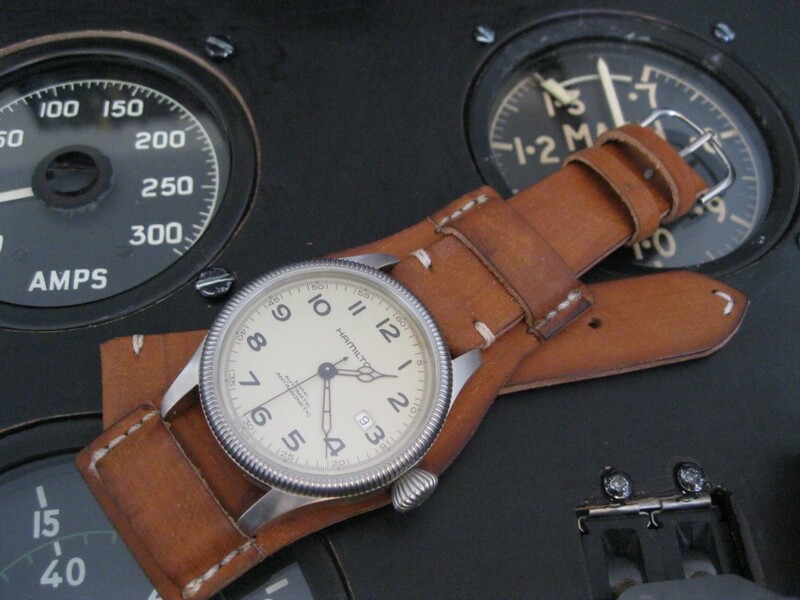 Although this is a vintage leather it will continue to age well. 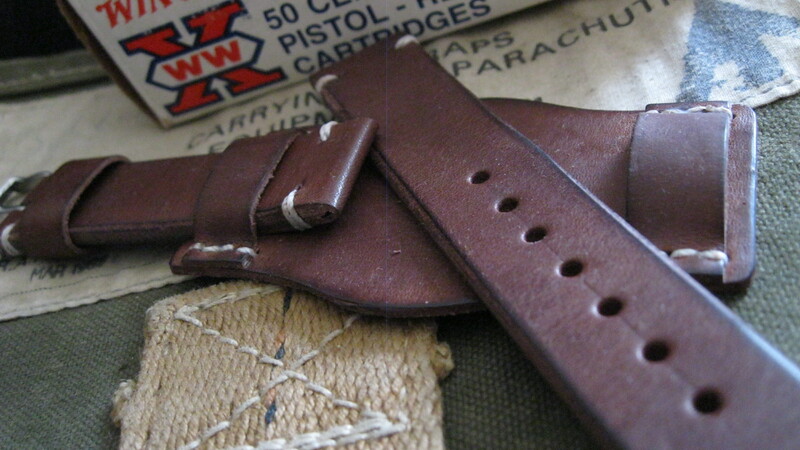 Vintage light brown/tan leather in Military style.